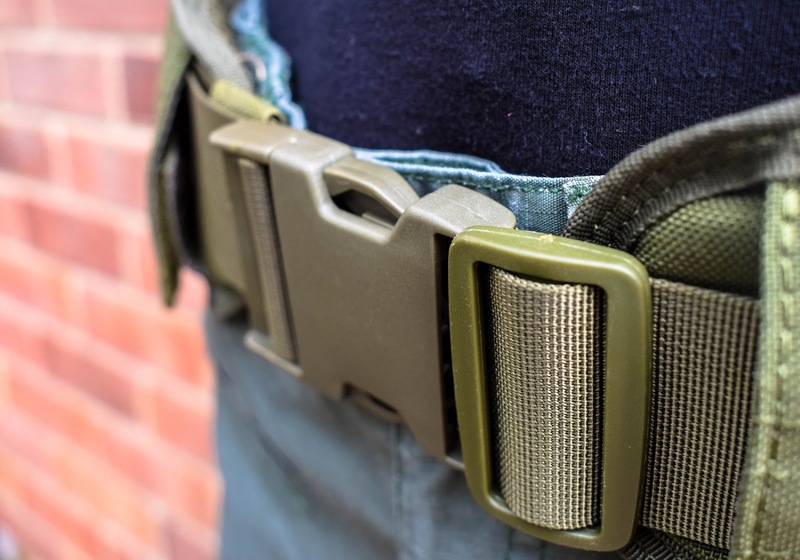 I’m back with another review for Valken and this time it’s on the Valken Battle Belt LC in Olive Drab! The Valken battle belt is a lightweight, low profile, padded, laser cut molle battle belt option for players looking for an affordable solution to carrying their kit in both skirmish and MilSim games, whether you need an additional load bearing system to wear with your plate carrier or chest rig or to run as a solo belt setup it’s a versatile option. 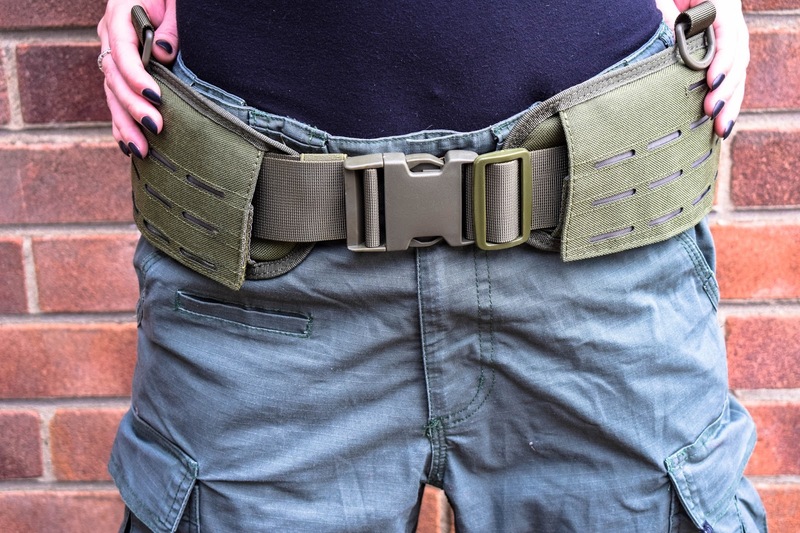 The battle belt LC is different to traditional molle battle belts as it has rear and side laser cut molle attachment points, and what I really like about laser cut molle is that it has a really sleek and modern look. It is also easy enough to thread traditional molle platform pouches through the laser cut points. Besides the laser cut molle, the belt also has some really useful features: It has a really simple web belt threading system and even includes the web belt. It also features front and back D-ring mounting points for harnesses just in case you need some extra support when running heavy pouches and kit (or just if you want to ensure that the belt doesn’t move around too much during a gameday). The Left and right drop leg attachment pass-throughs also make it a versatile piece for both left and right handed shooters. So how does it fit? I have the belt in medium and it was easy to adjust/fit to my body and thanks to the air mesh inner padding, the belt is really comfortable on my hips. The padding is also segmented which means it fits the contours of the body really well. 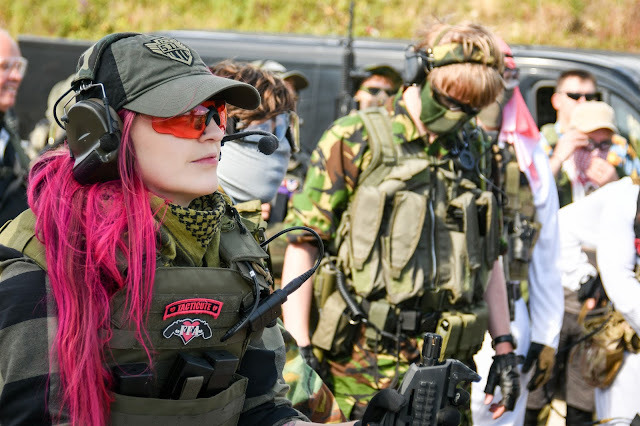 One issue I have found with a lot of battle belts in the past is as I have lost weight they became really uncomfortable on my hip bones and could sometimes leave me with bruises if I wore them fully loaded and for extended periods of time (such as a 36 hour MilSim), I haven’t yet had this issue with the battle belt LC whilst it’s been fully loaded for a full game day but I am yet to wear it for a MilSim! Are there any product improvements I would make? 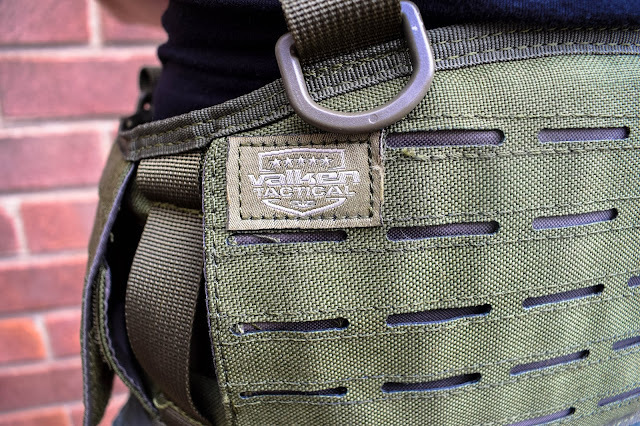 Yes, the only real improvement I would make to the Valken battle belt LC would be a higher quality buckle, although there is nothing wrong with the buckle it has, I prefer chunky, thick buckles so I’m super sure that they won’t get damaged by a stray BB. The battle belt is available in 3 sizes – medium, large, XL and also in 3 different colours – black, olive and tan! I chose the olive drab colour way as I’ve been building a green PMC inspired loadout for MilSims and this fits the bill. The belt is (in my opinion) also super affordable at $29.95 (around £22 at the current exchange rate) available from Valken themselves here. Overall, I like it. I'll be doing a battle belt set up with this bit of kit at a later date!